The French® series of LP (low-pressure) pulp dewatering presses deliver precise control over discharge moisture. 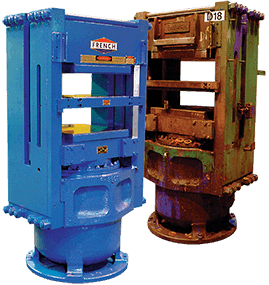 LP dewatering screw presses can separate liquid and solids from most moisture bearing fibrous materials. The press operates with a feed consistency of 2 – 4% and a discharge consistency of 25 – 35%. As Your Partner in Processing, French engineers will customize any press design to best meet your requirements.